It is all about lifestyle. Enjoy one of the best in beautiful Pelican Pointe Golf & Country Club. This stunning home is located on a quiet cul-de-sac and offers abundant privacy and exceptional views of the lawn and soaring trees beyond. A heated, Pebble Tec pool and spa, plus two spacious shaded cabanas enhance the lanai. Completely customized kitchen features top-quality cabinets, lighting, and appliances, including wine refrigeration. Striking backsplash complements the quartz countertops, dining bar and prep island. Aquarium window and sliding doors bring in the lovely outdoor setting. In the evening, automated lighting softly illuminates the woods and surrounding landscaping. Master suite opens to the lanai and features customized closets and a spacious bathroom with frameless walk-in shower and Jacuzzi soaking tub. Additional leisure room with built-in dry bar and adjoining bath were added to the original floor plan. 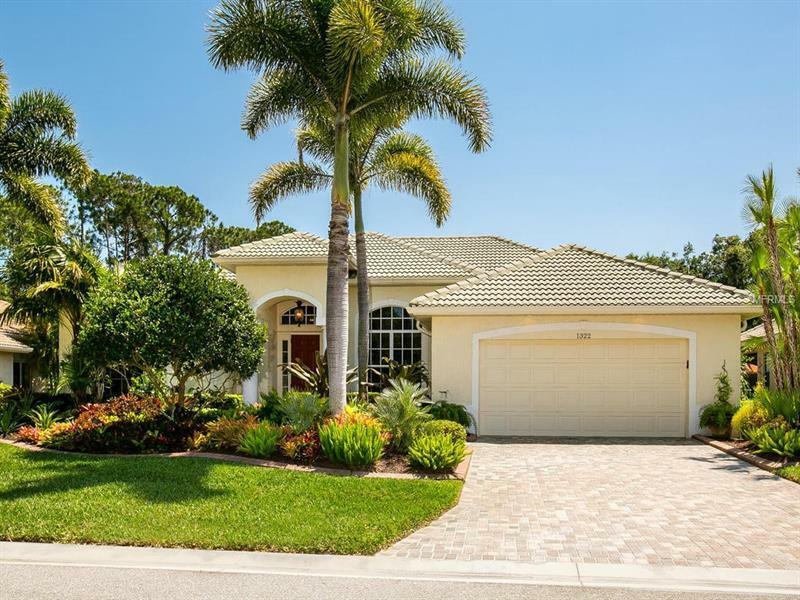 Further features include tile floors in all rooms, high-quality crown molding, remote-controlled shades in family room, sound system, plantation shutters, and pavers on the driveway and lanai. Home has a lovely front patio and beautiful landscaping all around. Maintenance-free lawn care, cable and internet package, plus a social membership for use of the clubhouse bar and restaurant, heated pool, and tennis and pickleball courts are all included in the reasonable HOA fees. Central location within minutes of historic Venice, shopping, restaurants, US 41, I-75 and Gulf of Mexico beaches.